The 2019 Portland International Auto Show at the Oregon Convention Center will feature trucks from leading manufacturers. Pickup trucks are consistently among the best-selling vehicles in America, and there are very good reasons for that. Section 179 of federal tax law allows the full purchase price of vehicles acquired for business to be deducted in the year of purchase. This creates a powerful incentive to buy a new (or used) truck for business use. 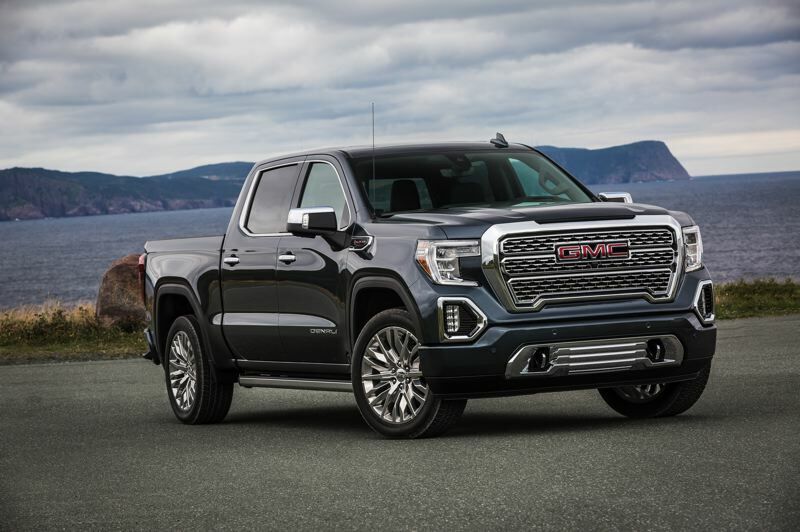 Vehicle manufacturers have been working hard to stay ahead in the pickup truck market, and the 2019 range of full-size trucks offers options for serious work and for luxury mobile office accommodations. Here's a rundown of the new trucks on display at the 2019 Portland International Auto Show, scheduled for Jan. 24-27 at the Oregon Convention Center. Chevrolet came out with a brand new Silverado line this year, including a new engine that changes all the rules. The available 2.7-liter turbocharged four-cylinder engine is impressive. Available in mid-range LT and RST trims, the new engine delivers 310 horsepower and 348 pound-feet of torque, beating the existing 4.3-liter V6 on all points. You can also get a 5.3-liter or 6.2-liter V8 with all-new Dynamic Fuel Management cylinder deactivation technology. A 3.0-liter turbo-diesel engine is still forthcoming. Six-speed, eight-speed, and even 10-speed automatic transmissions are available. On top of all that, the new Silverado is bigger than ever, and the Z71 off-road package is available on all eight trim levels. There's more space in the cab, a stiffer frame, and a new suspension. see is the new industry-exclusive six-way multi-function tailgate. This 'tailgate within a tailgate' allows users to create a step up into the bed, or a bed-extending load stop. Owners can create a desk or workbench surface, or just get an easier reach into the bed. If that's not enough, consider adding the optional carbon fiber bed material. Bed liners are a thing of the past with this option. GMC also offers a multi-color head-up display, camera-based rear view mirror, and magnetic adaptive ride control. If a luxury truck is in the budget, GMC is the leading brand. Ram Trucks has completely renewed the 2019 Ram 1500 line. This truck is dramatically different from every Ram that came before, and offers a new frame, designed to be stronger and smoother, with improved load carrying capacity. This truck will haul up to 2,300 pounds in the bed, and tow up to 12,750 pounds, yet it's almost 225 pounds lighter than last year's model. Four-wheel disc brakes are also standard and very effective. Ram will offer five different engine options for this truck. First, the standard engine is a Pentastar 3.6-liter V6 that is perfectly capable. There's also a 5.7-liter Hemi V8 rated at 395 horsepower and 410 pound-feet of torque. There are also two mild hybrid options available based on the 3.6-liter Pentastar V6 and the 5.7-liter V8. The eTorque hybrids use an electric motor to launch the truck from a stop, and to smooth out shifting. A turbo-diesel option is expected later this year. For more than 40 years, the Ford F-150 truck has outsold every other vehicle in America by offering a great truck at a fair price. For 2019, that tradition continues with a range of options that makes the F-150 as varied and versatile as any truck on the road. The F-150 comes with a range of gas engines from a 2.7-liter turbocharged EcoBoost to a 3.3-liter V6 and a 5.0-liter V8. A 3.5-liter EcoBoost V6 is the hot engine that powers the impressive F-150 Raptor model. There's also a 3.0-liter PowerStroke turbo-diesel. A 10-speed automatic transmission is available. Trim levels range from the most basic XL to the range-topping F-150 Limited. Toyota's reputation for quality and hard work rests solidly on the 2019 Tundra pickup. The Tundra offers a choice between a 4.6-liter or a 5.7-liter V8 engine, and either one is capable of towing and hauling for most people. Buyers may also get a DoubleCab extended cabin standard, or a full crew cab if desired. Most truck buyers these days insist on four doors and seating for five passengers. Inside, the Tundra offers an interior that is both functional and luxurious. The seats are firm and offer good back support, which is critical for those who spend a lot of time in their trucks. Nissan has kept its full-size Titan a little bit old-school. Buyers can still get the Titan with a traditional single cab design, as well as a King Cab or a full four-door Crew Cab. Regardless of trim, owners enjoy Nissan's 5.6-liter V8 engine with 390 horsepower and 394 pound-feet of torque. There's a standard 7-speed automatic transmission, and a two-speed transfer case if 4WD is included. But the Nissan is not only for heavy work; in the upscale trims, owners can have a truck that is just as luxurious as any other brand, with a fully modern tech package.